Q - What is infertility? A - Infertility is the condition when a woman is not able to get pregnant after one year of trying for conception or six months if a woman is older than 35. For a woman to get pregnant, she must release an egg which must go through fallopian tube to reach uterus. In uterus, the egg must meet a sperm to fertilize the egg and finally the fertilized egg must attach the inside of uterus called implantation. In the course of these events, if there occurs any problem in any of these steps, infertility happens. Q - Is infertility related to women only? Best plastic surgery hospital in India The thought of traveling abroad for cosmetic surgery is usually overwhelming. Most of the people are skeptical and are in dark about what to expect and what would happen on reaching a foreign country. Everyone obviously wants to have the best experience for plastic surgery abroad at best possible prices. India has undoubtedly emerged to be the most favorite destination for people seeking affordable cosmetic surgery abroad. 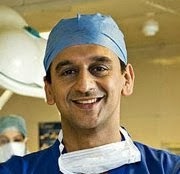 The reasons being highly skilled surgeons- Indian surgeons enjoy the reputation of being few of the finest surgeons in the world, very low cost, fluency in English of doctors and hospital staff, India as a tourist destination among other factors. MACS Facelift Surgery in IndiaMACS facelift or Minimal Access Cranial Suspension Lift is an advanced technique for facial rejuvenation and is one of the most popular cosmetic surgery procedures. MACS lift corrects the facial skin that has lost its natural bounce and elasticity. It also corrects the visible signs of aging such as fine lines and wrinkles which are more prominent around the eyes, nose and mouth. Minimal Access Cranial Suspension Lift involves correction of sagging skin through minimal incision. The incision is limited, done in front of the ear following the hairline. The incision is done inconspicuously such that the scar blends with the hairline and it becomes naturally visible. Through the incision, the sagging subcutaneous tissue is tightened with an inner thread which is attached to the upper section, the extra skin is then excised and the wound sutured. Following the closure of the wound, subcutaneous drain is inserted to remove blood and extra fluids.